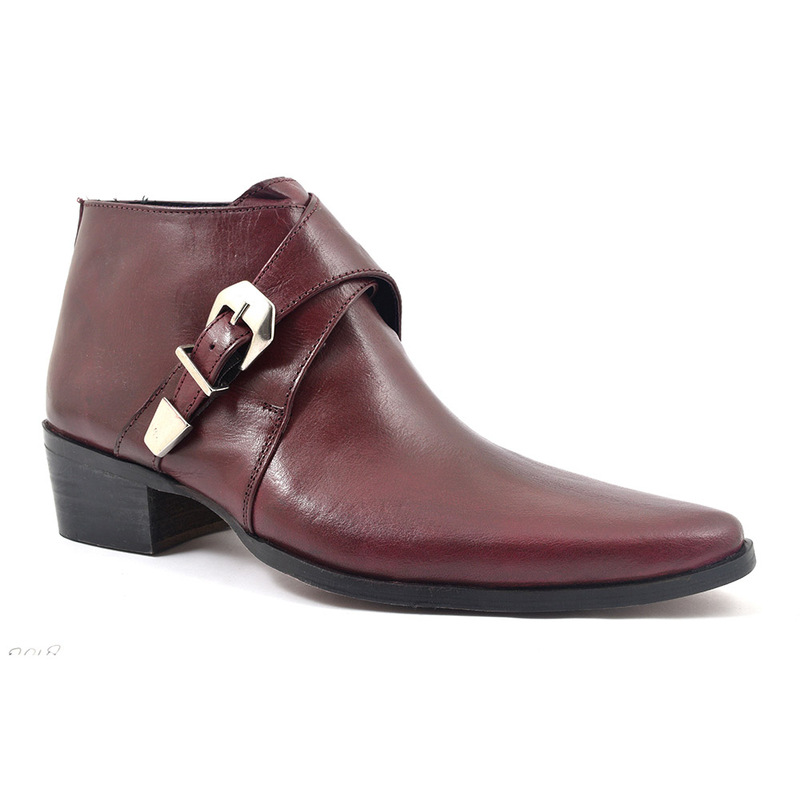 A lovely burgundy colour cuban heel boot which has a height of 4.5mm. A silver strap buckles across the vamp and there is a pointed toe for a winklepicker vibe. Different in colour and spirit. 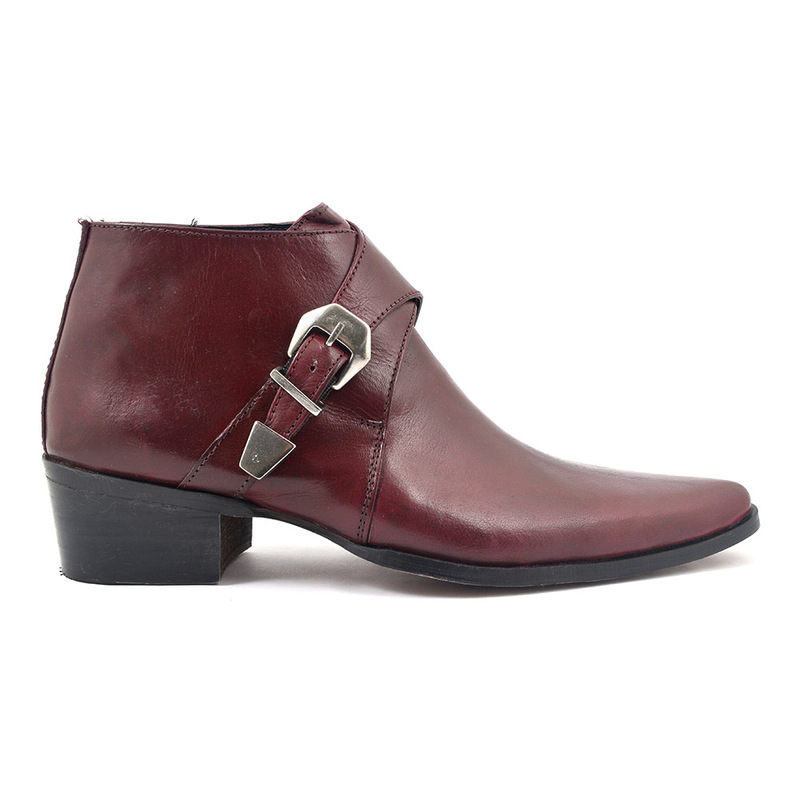 This cool burgundy pointed buckle cuban heel boot is a fab alternate colour to black or brown. It really has a decadent feel with the heel, the point and the silver buckle. 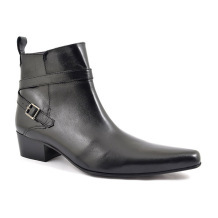 You could call it a winkle picker boot and be in the company of the edgier crowd who donned these pointed boots in the 60s all the way to today. There is a good heel of 4.5 mm which is not as high as some mens heel boots! Think Louis XVI and his ever increasing heeled shoes. These are a good solid block heel so you wont be teetering around. Rather boldly striding about your business looking rather amazing. 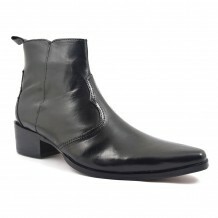 What to Wear with Cuban Heel Boots? 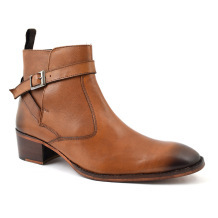 This style of boot is wearable in a few ways. Of course, the message is a bit alternative so they tend to have a casual feel rather than a formal one. 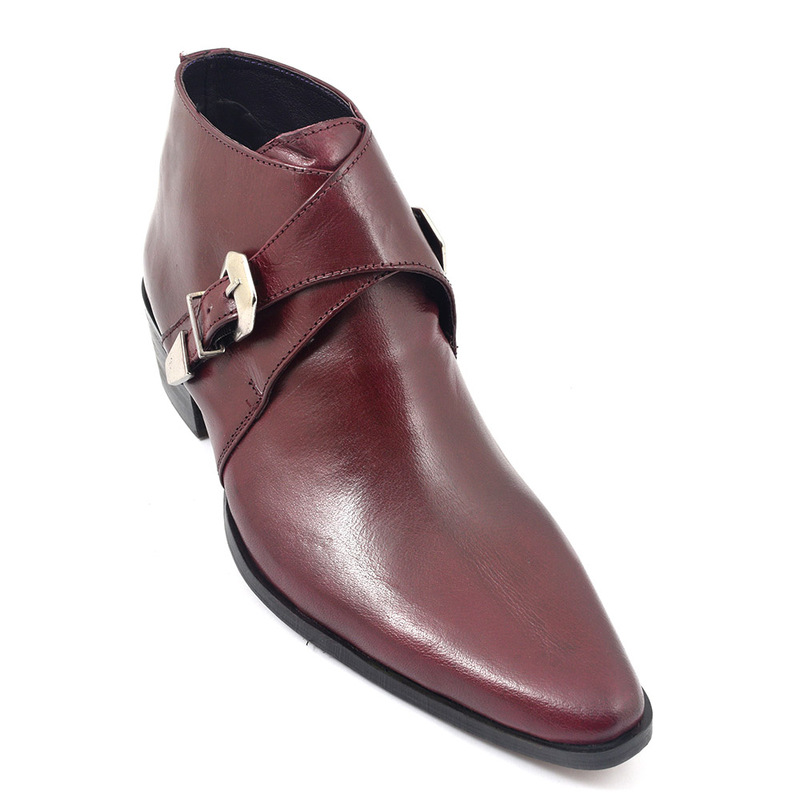 These burgundy pointed buckle cuban heel boot will work with a skinny fit trouser whether it be denim or other fabric. You can dress that up or down with a biker or a jacket (fitted would be better). 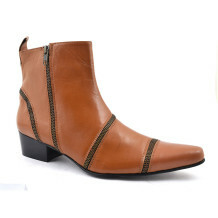 However you decide to wear these boots, you will stand out for the right reasons. Check out our blog for more. Be the first to review “Pere Burgundy Pointed Buckle Heel Boot” Click here to cancel reply.